Another Fabulous Wedding Fair at The Lawn, Rochford..
Well it seems that no amount of wind and rain will deter a bride on a mission! It’s never too early either! On Sunday I pencilled lots of dates into my diary for couples getting married next year. 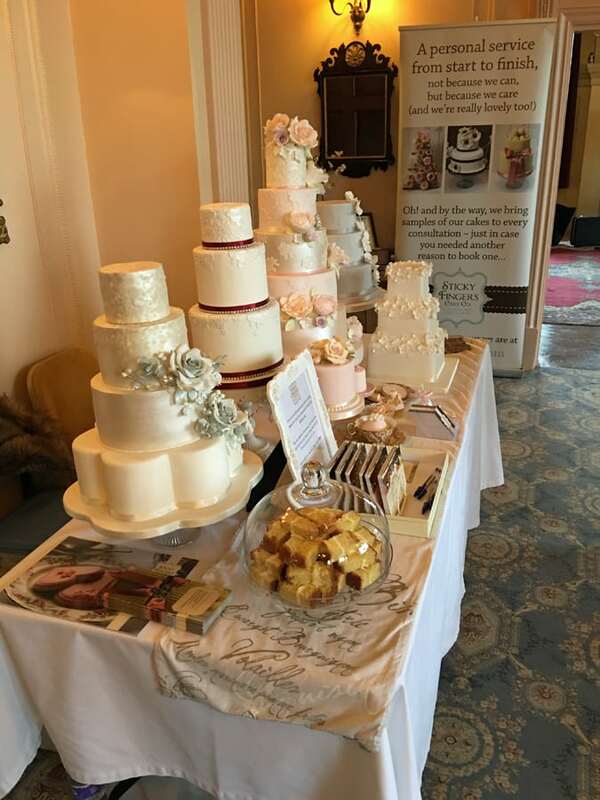 So if you do want to book Sticky Fingers Cake Co for your wedding cake for next year, head on over to our Enquiry page and fill in the form, drop me an email at [email protected] or give me a call and I’ll book you in for a consultation. Easy peasy! Our next wedding fair is at The Old Parish Rooms, Rayleigh on Sunday 19th February in conjunction with Rock the Day Wedding Styling. Really looking forward to it! Expect naked wedding cakes, mini Victoria sandwiches, vintage cupcakes and favours and gorgeous sugar flowers. See you there!